Don't you love those random headaches that sneak up on you and turn you into a poorly functioning, irritable zombie? Sure, you can reach for the ibuprofen, but there are lots of reasons not to go this route: maybe you don't like to self-medicate unless absolutely necessary, maybe meds don't work for you, or maybe you have a happy hour planned -- it's not the best idea to mix pills and alcohol, right? If any of those apply to you, try one of these non-pharmaceutical headache remedies that have been scientifically proven to work. This is an important first step. If you suffer from frequent headaches, it's a good idea to keep a headache journal -- not the "Dear diary" kind of journal. Instead, record with as much detail as possible when each headache happened, what it was like, and what you suspect might be triggering it. The idea behind health notes like these is to discover patterns in triggers. The next step -- duh -- is trying to avoid them when possible. This can be done in a pink book with a lock on it, but you might prefer any old notebook or even an app. This will go a long way toward pinpointing your triggers. Putting peppermint oil on your forehead and temples eases muscle tension, helps your circulation, has a slight numbing effect, and relaxes you, zapping your headache -- pretty cool, and it's as effective as what you can pick up at the pharmacy. But don't go smearing your forehead with toothpaste. Head over to your local hippie natural food store for a vial of peppermint essential oil, though now it's pretty widely available at most drugstores. Given that stress is the most common cause of headaches, it's logical that relaxation can help a lot. Sadly, it's not enough to plop down on your couch or pop open a beer, since alcohol can make things worse. Better options include low-impact exercise and the progressive muscle relaxation technique, which requires you to tense up, then relax, various muscles in your body to produce a calming effect. 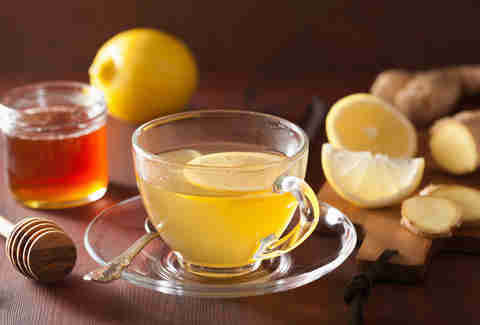 Ginger's already known to be effective for stomach issues, and it turns out that it's great for headaches, too. In one study, researchers gave 100 patients with migraines either ginger powder or the headache medication sumatriptan, without telling them what they were getting. They then pestered these poor people with questions about when their headaches started, how bad they were, and exactly how long they waited before they took their assigned medication -- there was virtually no difference in benefit reported by patients, and fewer side effects associated with ginger to boot. 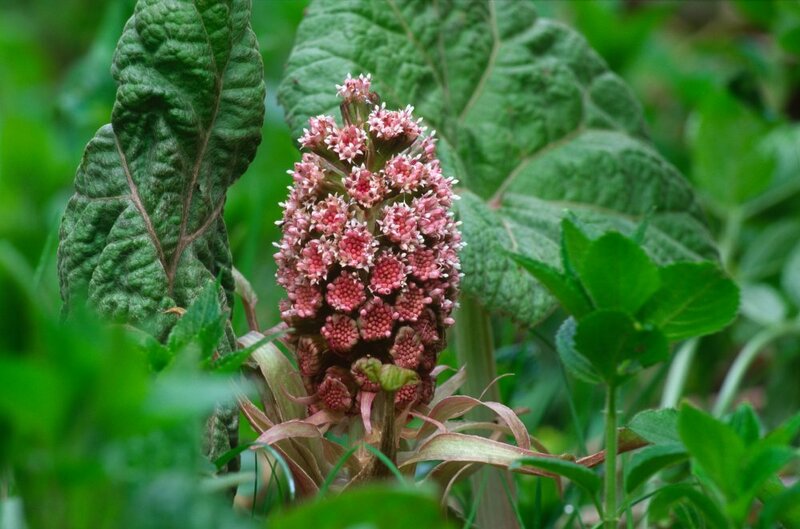 True, "butterbur" sounds like a treatment from a Lewis Carroll book, but this funky-looking plant happens to do some damage on migraines. While most studies on herbal migraine treatments don't survey huge populations, butterbur seems to be an effective treatment. The most common side effect? "Mild gastrointestinal events, predominantly burping," which is definitely better than a migraine, and could be kind of fun! Do you even need convincing on this one? To prove the point to anyone who wasn't already using headaches as an excuse for some pampering, investigators asked people who suffered through several headaches every week to keep doing so for about a month, writing down all the details. Then it was on to the perks. For another four weeks, study participants got head and shoulder massages -- how does one become a study participant, by the way? -- which, as you can guess, helped ease their headaches and made them happier, more relaxed, and (probably) more snobbish. If you've always wondered what it's like to be pricked by little needles but haven't quite made a decision on that tattoo, acupuncture is for you! Acupuncture needles are extremely thin, and are inserted in the skin at slightly different depths to stimulate specific points. It usually doesn't even hurt. 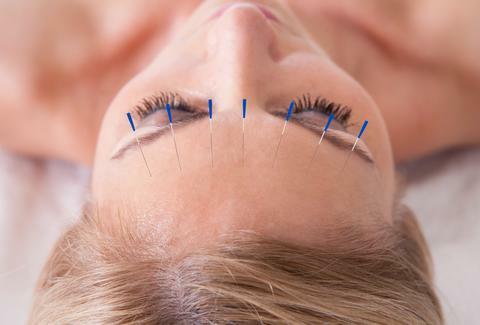 While doctors used to have their doubts about whether or not acupuncture helped with headaches, a review of 11 studies with more than 2,000 total participants finally gave it the green light as a legit headache treatment option. While many insurance plans won't cover acupuncture, the cost also isn't through the roof: to get needles stuck in your skin, you might pay as little as $60 (also cheaper than a tattoo!). Keep in mind that non-pharmaceutical headache-relief strategies can be used on their own or as complements to the stuff that is coming from your medicine cabinet. In the massage study, for example, participants weren't asked to discontinue taking any regular headache-relief meds they were already accustomed to, but there was still an overall benefit from the massage treatment. And if you're really gung-ho about going off the meds, well, placebos may be your solution. In any case, consult your primary doc before trying something new. Just know that when you say you have to leave work early for a massage, you will become the most hated person in the office. Marina Komarovsky is a freelance writer for Thrillist, and she feels massages should be recommended more often. For more on health, follow her tweets: @MariKomarovsky.